Ready to start using xAPI? 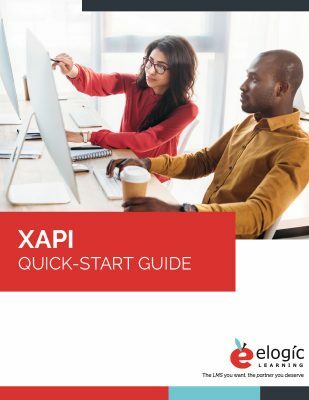 Check out our quick-start guide which helps you see what xAPI compliant learning environments you have and the steps to getting started with using xAPI in your elearning strategy. See which of your learning environments is xAPI compliant. Questions to ask if one or more of your learning environments isn't compliant. You'll also need an LRS so here's where you can see what you need. Some ideas to get you started, plus extra space to write your own xAPI goals!